A UCU picket line during a strike in 2016. Image: Warwick For Free Education. That’s how Justine Mercer, President of Warwick UCU, the main academic staff union, describes Warwick management’s efforts to reform Statute 24. The Statute provides robust employment protections, ensuring a rigorous disciplinary process, and commits the University of Warwick to the principle of academic freedom. All this is threatened by the prospective changes; Warwick Law School have formally declared that “the proposed reform of Statute 24 … infringes upon academic freedom and the intellectual independence of our profession”. Similar changes have been attempted at universities across the country. Some academic communities have successfully fought off the reforms, whilst others have succumbed. In at least one university, the statutory changes were rapidly followed by wave after wave of redundancies. 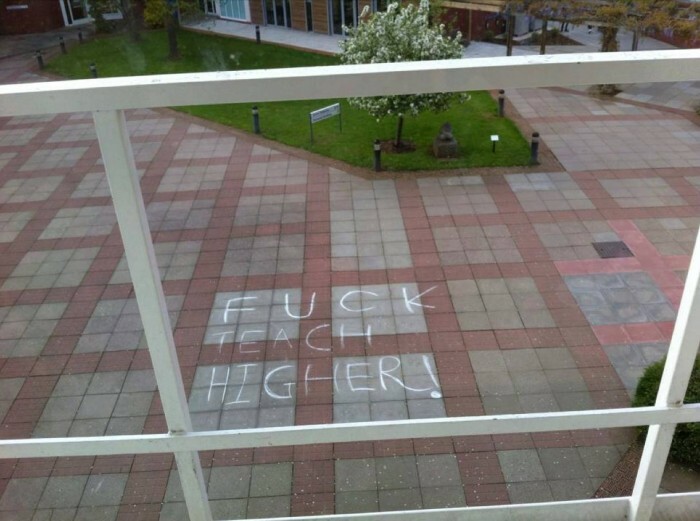 Warwick has a recent history of employment disputes, and grass-roots resistance: TeachHigher, a proposed “internal outsourcing” scheme that would have increased precarity and exploitation of the lowest-paid academic staff, was scrapped by the University after a joint student-staff campaign against it in 2015. Warwick For Free Education succeeded in forcing the University to grant hourly-paid tutors collective bargaining rights after the group’s two-week occupation of the Slate in December 2016. The current changes have many wondering: is Warwick heading for another major employment-related conflict? Statute 24: What it is? The University of Warwick, like other so-called chartered universities, is governed by a codified constitution, laid down in statutes. These statutes create the skeletal form of the University, including the governing bodies – Council and Senate – and primary management positions, including Vice-Chancellor, Treasurer, and Registrar. Crucially, these statutes can only be changed with the approval of the Privy Council, a somewhat archaic national, cross-party collection of politicians which grants royal authority to a range of British public institutions. This means that the structure and protections embedded in the University’s statutes are relatively robust; changing them is a significant process for University management. 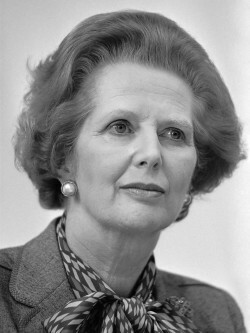 Former Prime Minster Margaret Thatcher, who abolished academic tenure in the UK in 1987. Prior to 1987, academics in the UK would usually be protected by ‘tenure’, which ensured they were granted a permanent position, and made dismissal difficult. The rationale for tenure was that it would give academics autonomy from the pressures of university management, freeing them to engage in lengthy, controversial or unpopular academic work. In 1987, Margret Thatcher abolished tenure across the UK. In response, many universities developed their own employment protections, often creating de facto tenure within their individual institutions. One key statute, Statute 24, effectively creates tenure at the University of Warwick. The proposed changes are the de facto abolition of tenure at Warwick. Statute 24 lays out the procedures the University must follow if it wants to discipline academic staff. 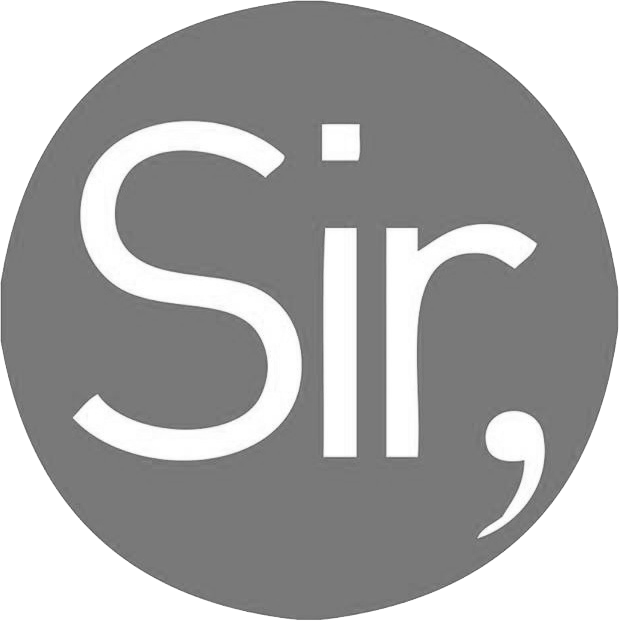 The statute opens by requiring commitment to the following principle: “that academic staff have freedom within the law to question and test received wisdom, and to put forward new ideas and controversial or unpopular opinions, without placing themselves in jeopardy of losing their jobs or privileges”. A final appeals process, which would be heard by a legal expert who has “judicial office or being barristers or solicitors of at least ten years’ standing”. What are the proposed changes, and what effect might they have? UCU and other unions are in negotiations with the University over the proposed reforms, which are in constant flux. A source familiar with the negotiations told the Warwick Globalist that current proposals are to maintain a formal, abstract commitment to academic freedom, but to move all details [(a) to (g)] into low-level University policy, removing it from Statute. “The problem is that this would make it much easier for the University to get rid of these protections at a later date,” a source within UCU told us. Whilst these employment protections are in statute, Warwick would have to go to the Privy Council to be able to change them. If, as is being proposed, the protections were moved to ordinary University policy, Warwick could hypothetically remove these protections arbitrarily in the coming years. Several people we spoke to feared that the proposals as they currently stand will remove the right to have independent legal representation during redundancy procedures, and will not require final disciplinary appeals to be held before an independent legal expert. Professor Thomas Docherty. Image: University of Kent. Previous disputes over academic freedom at Warwick may have turned out very differently had these changes to Statute 24 been in place. 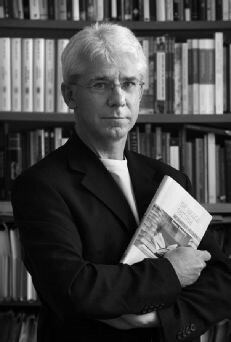 In 2014 Thomas Docherty, Professor of English and Comparative Literature, was suspended for nine months for “projecting negative body language, making ‘ironic’ comments and sighing during interviews”. Professor Docherty was eventually cleared of all charges and reinstated. He told the Warwick Globalist that, had these proposed changes to Statute 24 been in place at the time, he believes he would have permanently lost his job. “I relied on a strict observance of the whole of the existing Statute 24, and the related Ordinances”, said Professor Docherty. “And I consistently asked that the University’s senior managers did the same”. The new regulations, he said, “do not leave any room for proper independent scrutiny of a case”. Fears about what might happen if the changes go through are not pure conjecture: other universities have undergone similar changes to their statutes, and been wracked with job losses in the aftermath. Salford University in Manchester adjusted their statute in a similar fashion around 2006. Following the changes, Salford was hit with waves of redundancies. 200 staff members were set to be fired in 2011; a further 95 job losses were planned in 2013, and another 21 the year after. UCU noted a stunning 13 rounds of job cuts in roughly two years, decimating the academic community. In short, Warwick UCU has publicly argued that these changes could result in academic staff at Warwick being sacked “in a matter of weeks” for “disagreeing with departmental or university policy”. That is a real risk. The University of Warwick, for its part, says that the changes are an effort to “simplify, clarify and modernise” Warwick’s employment structures. Warwick’s community has successfully come together in recent memory to oppose similar changes. Image: Warwick For Free Education. In 2015, Warwick proposed a new employment management scheme for low-paid academic staff, TeachHigher. Opponents worried that it would reduce employment protections, push down pay, and make it harder to unionise. Students and staff came together and launched a large campaign against the changes, pushing the issue into the national press, hounding the University on social media, and threatening to hold a national demonstration during a University open day. This final move pushed University management into capitulation: the threat to their image and future student recruitment created material leverage for those opposed to the reforms. Other universities have successfully fought off similar changes to that currently proposed at Warwick. In 2012, a similar reform was put forward at UCL, again proposing to gut key employment protections. Campaigns against the change were launched by the local UCU branch and UCL’s Students’ Union, which successfully fought off the changes. 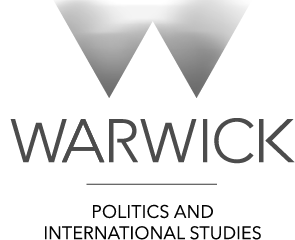 The basis of a strong campaign is being laid at Warwick. Already, an extraordinary meeting of the staff Assembly has passed a motion calling for the proposed changes to be halted. The motion passed with around 95% in favour. The body met once last academic year, passing motions condemning the government’s proposed higher education reforms, and calling for Warwick to enact “minimal compliance” with the Islamophobic Prevent policy. Plans are in-line to pass a motion through the Students’ Union this term mandating the Union sabbatical officers to campaign against the changes to Statute 24. The crucial factor may be how the students react: with exams and essays swamping many for the coming weeks, the possibilities of large-scale mobilisation may be slim. This means that UCU needs to drag the negotiations out for as long as possible, giving activists at Warwick For Free Education and elsewhere enough time to build anger amongst the student body and coordinate focused disruptions at open days and other key events. 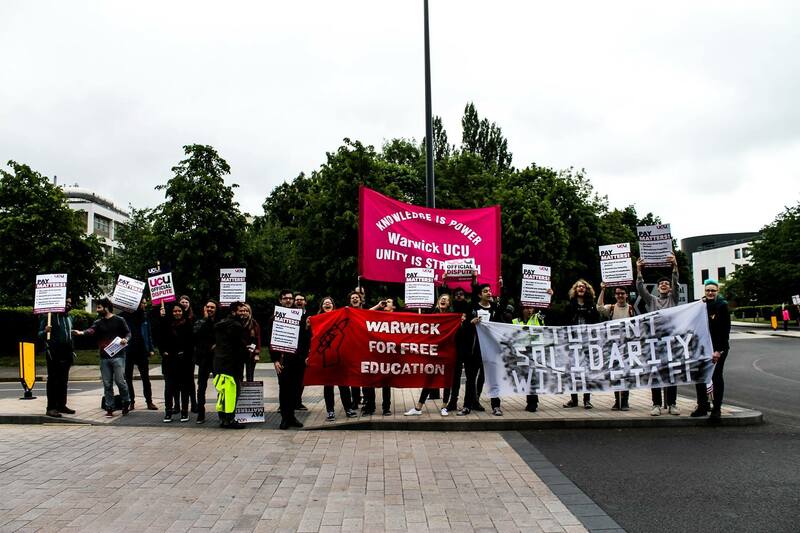 A key lesson of the employment struggles at Warwick and elsewhere is the importance of student-staff solidarity, of a coordinated media and awareness-raising effort, and of material leverage. The threat of strikes, marking boycotts, national demos, and occupations should all be considered. At one of Warwick UCU’s first meetings to discuss the proposals, one academic remarked that “not even Nigel Thrift tried this”. Some are wondering why the relatively new Vice Chancellor, Stuart Croft, is attempting to make these divisive reforms after trying so hard to mend campus relations, left largely shattered after a decade of Thrift’s rule. If this brewing conflict tells us anything, it’s that the pressures of the managerial positions vastly outweigh the commitments and politics of the individuals who occupy them. Thrift went from critical post-Marxist academic to neo-liberal stalwart, defending police violence and describing student activists as “yobs”.